→ Arak #14 (1) (10/82) Heritage Of Blood! 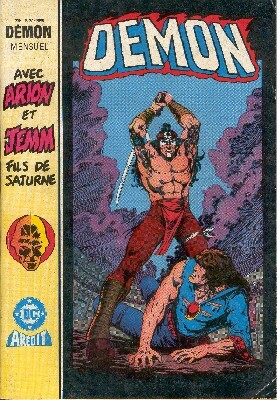 → Arak #15 (1) (11/82) The Slayer From The Wine-Dark Sea! 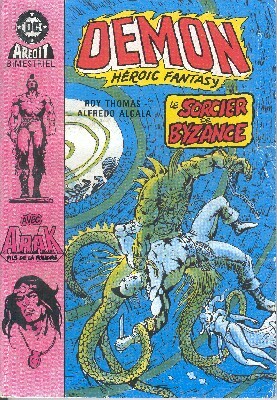 → Arak #16 (1) (12/82) Monster In Mosaic! → Arak #17 (1) (01/83) A Flame Upon The Sea! 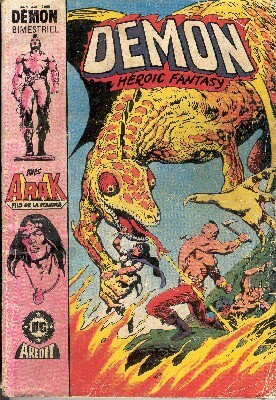 → Arak #18 (1) (02/83) Death Upon A Horn Of Gold! → Arak #20 (1) (04/83) To Sail The Sandy Sea! → Arak #21 (1) (05/83) At Last... Albracca! 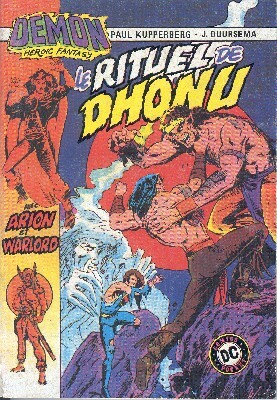 → Arak #24 (1) (08/83) 'Twixt Gog and Magog! 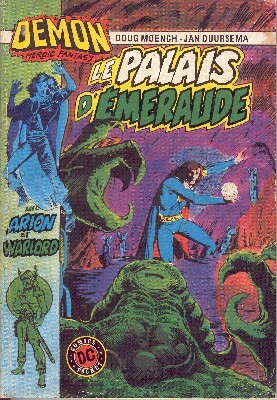 → Arak #25 (09/83) Sign Of The Salamander! → Arak #27 (1) (11/83) When Dead Gods Walk! 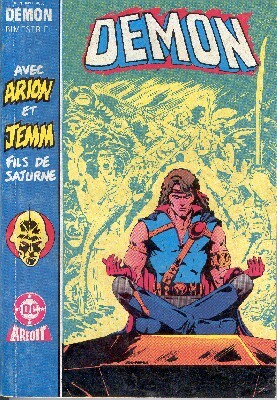 → Arak #28 (1) (12/83) Guardian Of The Golden Bough! 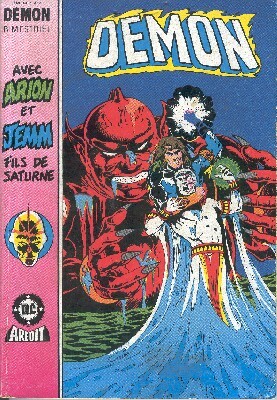 → Jemm, Son Of Saturn #5 (01/85) Kin! 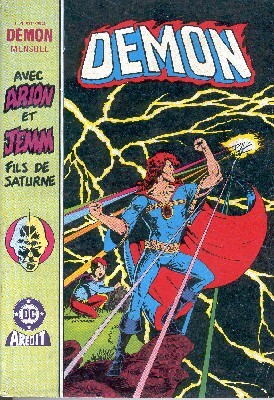 → Jemm, Son Of Saturn #6 (02/85) Return Flight! 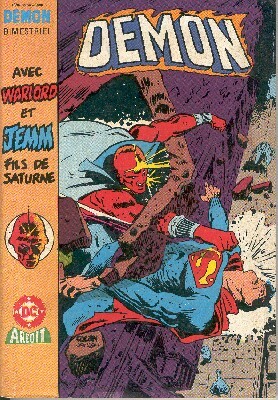 → House Of Mystery (1°) #252 (2) (05/77) The Devil Strikes At My Old Kentucky Home! 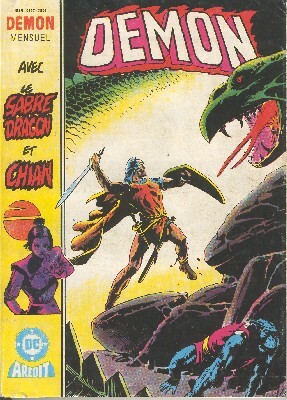 → Arion #24 (10/84) Cataclysm! 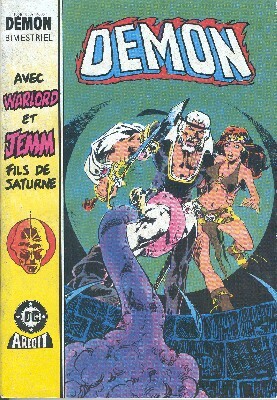 → House Of Mystery (1°) #245 (2) (09/76) Check The J.C. Demon Catalogue Under... Death! 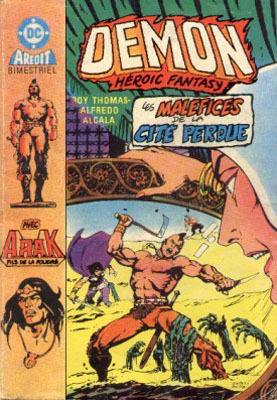 → House Of Mystery (1°) #244 (1) (08/76) Kronos... Zagros... Eborak! 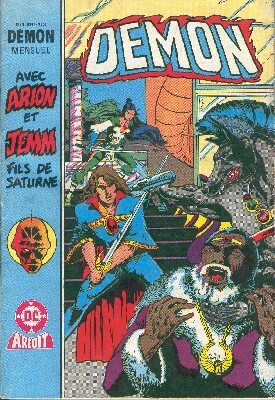 → Jemm, Son Of Saturn #11 (07/85) The Reckoning! 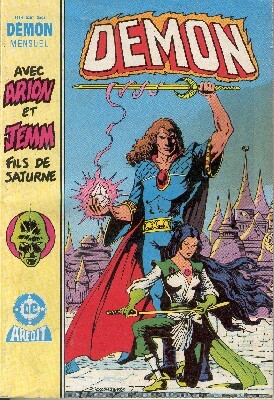 → Jemm, Son Of Saturn #12 (1) (08/85) The Final Stand! → House Of Mystery (1°) #228 (7) (12/74) A Coffin For Bonnie And Clyde! → Warlord (1°) #55 (1) (03/82) Have A Nice Day! 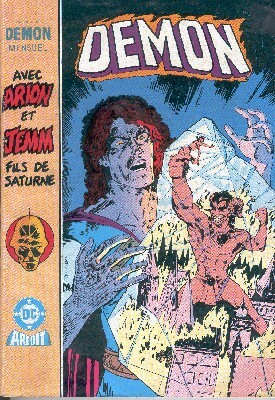 → Demon (1°) #14 (11/73) Witchboy! 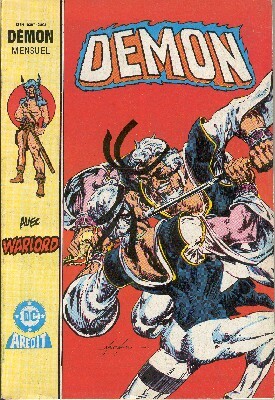 → Demon (1°) #15 (12/73) The One Who Vanished!! 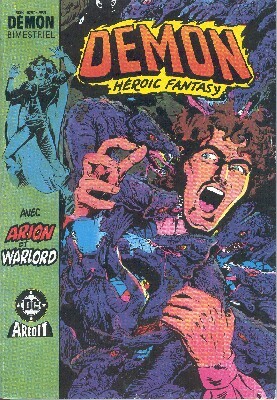 → Demon (1°) #7 (03/73) A Witchboy! !